Shortly after 22:00 this evening, the Skerries Coast Guard team were tasked to investigate reports of a person in difficulty on the shoreline near Donabate. 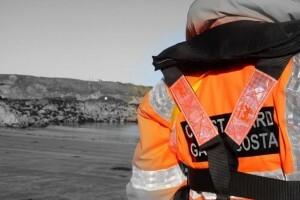 A concerned member of the public had contacted the Coast Guard, thinking the person may require assistance. Fortunately, some 10 minutes after being paged when the team were en route to the scene, the Coast Guard were notified that assistance was not reuiqred. This entry was posted in Callouts and tagged Callouts, donabate, Irish Coast Guard, skerries coast guard by Skerries Coast Guard. Bookmark the permalink.